The true gentleman avoids manual labour at all costs, but as we all know, there are circumstances when he is forced to roll up his sleeves and get stuck in. Take this highly unlikely scenario which happened to me just the other week: Forced to relieve my usually reliable chauffeur of his employment for that completely out-of-character “Fast and Furious” business, I was forced to drive myself into town to visit my chums at the Drones Club. Imagine my surprise, emerging from the club several hours later after a lucky streak on the billiards table, to find one of the tyres on my Bentley deflated and an impressive brown present left on the driver’s seat. DNA evidence later pointed to my former employee, and as we speak, wild dogs are running him down in the Essex countryside as my pals in the local constabulary turn a blind eye. 1. Ensure, if you can, that the vehicle is on level ground, and away from dangerous traffic and vengeful former employees. 2. Apply the handbrake and leave in first gear, to ensure your car does not roll away. 3. 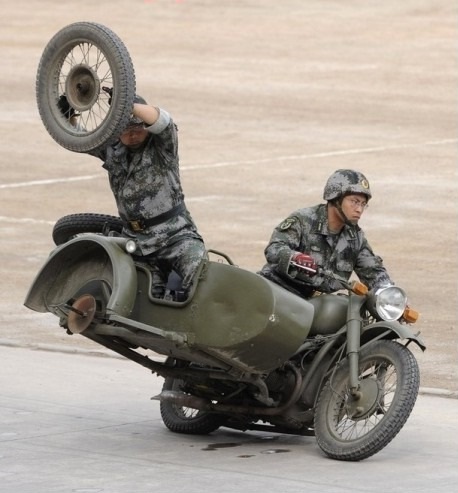 Remove the spare tyre from its storage. Remove any wheel trim from the tyre to be replaced, and get the jack ready. There may also be a tyre iron, which is completely useless unless you find yourself attacked by bears. 4. Put the jack in one of the recommended jacking points and lift the car slightly, but ensure the wheel is still on the ground. 5. Loosen the wheel nuts. If you own a new-fangled vehicle, you may need to use the locking nuts supplied with your car. It is at this point that you remember that you left them in your kitchen drawer at home. 5½. Take taxi home. Spend thirty minutes searching for the locking nuts which will turn up in the downstairs toilet for no apparent reason. Take taxi back to your car, only to find you’ve left it unlocked and some cur has stolen your Sat-Nav and Queen Greatest Hits CD. 6. Jack the car up the rest of the way, completely remove wheel nuts and take off wheel. 7. Replacing the wheel is the reverse process to removing. Except you probably don’t have to nip home for anything, unless your bladder is bursting and the Drones is locked for the night; remembering that the last time this happened, you ended up in front of the magistrate over an unfortunate understanding with a policeman’s helmet. 8. Groan inwardly as you realise you have absent-mindedly wiped your oil-stained hands on the front of a £300 pair of Savile Row trousers. 9. Groan inwardly again, as you realise you have sat in your former chauffeur’s brown present.